Think of Nintendo at E3 2013 like a king in exile. Despite mastering the last console generation with nearly 100 million selling Wiis, Nintendo have spent the year fading from the minds of the broader game industry ever since Wii U’s disastrous 2012 reveal. It needed something, anything, to give hope to those weary followers wandering the video game wastes with their tired Mario monarch. 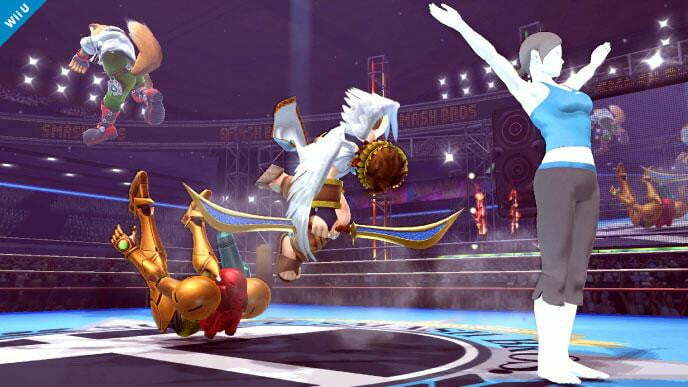 Super Smash Bros. for Nintendo Wii U and Nintendo 3DS wasn’t the victory it needed, but it was an oasis in the desert. As promised by Nintendo earlier this year, the company debut – not one – but two trailers for the handheld/console cross release of its popular party fighting game. The Nintendo 3DS version of the game bears some visual similarities to The Legend of Zelda: The Wind Waker, with broad lines and a cartoon-y color palette. 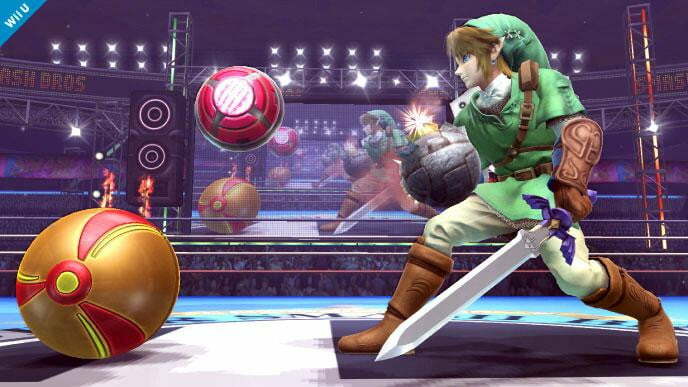 As demonstrated in the first trailer, though, the Wii U version sees Mario, Samus, Link, Kirby, and the gang in full HD, a beefed up look that recalls 2008’s Super Smash Bros. Brawl. Masuhiro Sakurai, seen playing the game in the pic above, did say that both games are still in being finalized and aren’t representative of the full visual oomph due in the finished product. 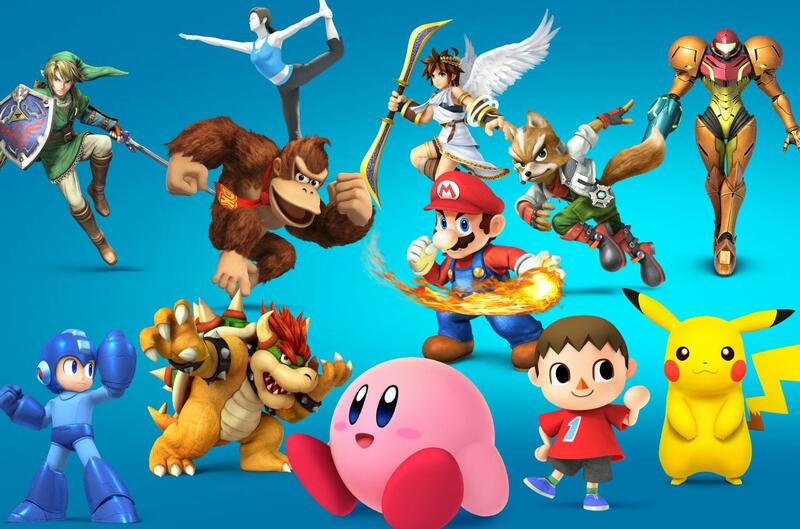 Keeping with series tradition, a slew of new characters from Nintendo’s storied past will appear in the game. Take, for example, the cherubic Villager from Animal Crossing. He can chop down trees and dig holes to fell opponents – unusual strengths, but adorable ones. 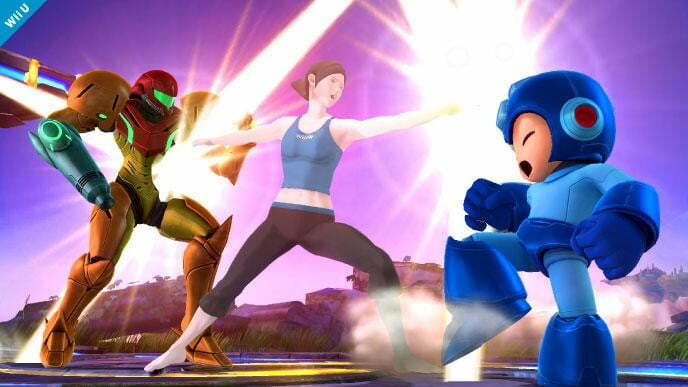 Joining him is, oddly, the nearly faceless Wii Fit Trainer. 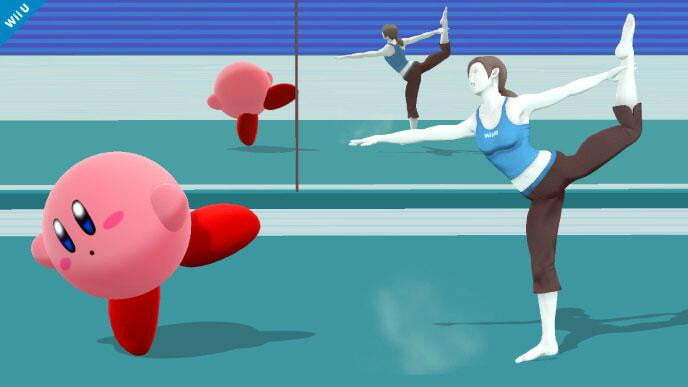 Don’t misjudge this sports bra and yoga pants-wearing fitness instructor from Nintendo’s exercise game, she can give a good throw down based on her trailer debut. 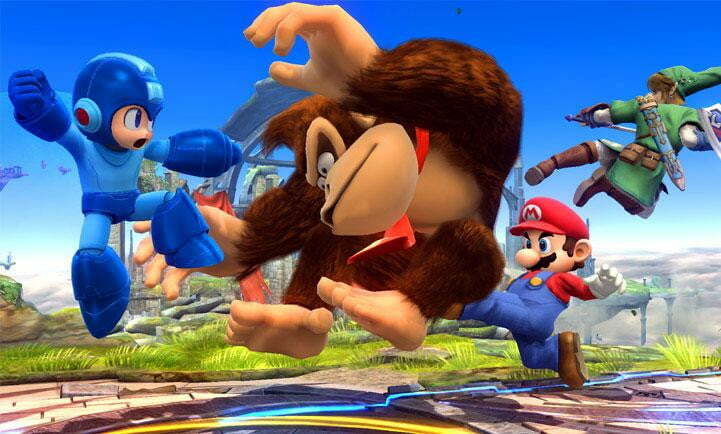 The biggest character addition, though, was Capcom’s Mega Man. An exile of sorts himself, Mega Man appeared in his classic, diminutive NES form – a first in 3D. With a full range of robot master weapons, Mega Man fits right in. There was even a tease that he’d have some old bosses, like the Yellow Devil, to fight in campaign mode. 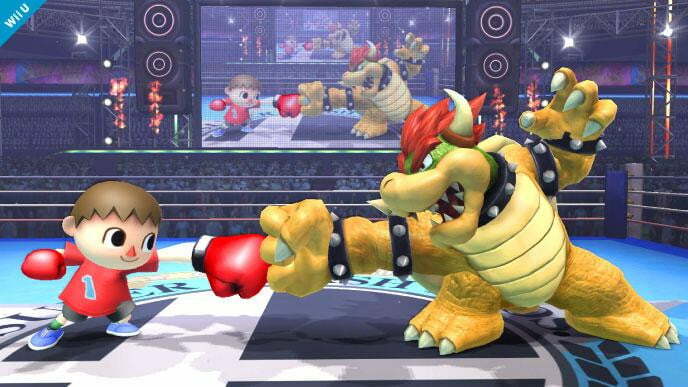 Super Smash Bros. for Wii U and 3DS will be out in 2014. Until then, here’s the action-packed trailer.